All Library/Track Ladders are made to order to get the correct angle when in use. 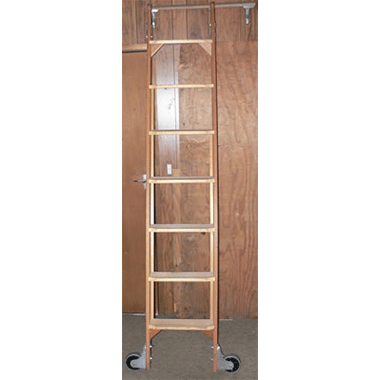 The Ladder can be stored vertically when not in use or removed all together. 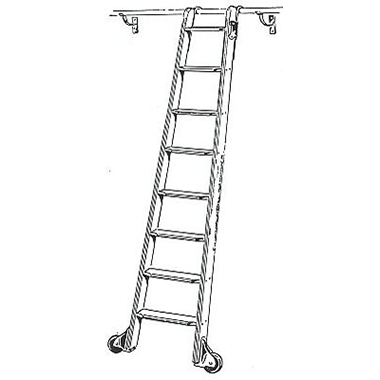 The Ladders are manufactured from Timber (Oregon or Vic Ash Stiles) or Aluminium. 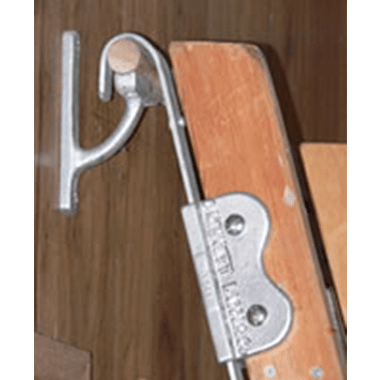 All Timber Track Ladders have Pine Treads and All Ladders come in a Raw Finish. The Self-Adjusting Slide Hooks and Castor fittings are made from Cast Aluminium. Rubber wheels are fitted to enable the Ladder to be moved with ease along the track. All we need to know is what height you want the track and what length of track. 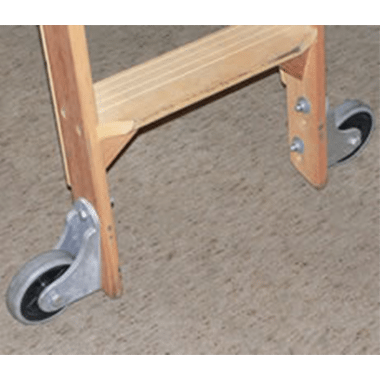 The Track is a 32mm Diameter TASOAK Dowel which comes in 3.0m Lengths only. Brackets (Cast Aluminium or Steel) fitted approx. every metre (But not more than 1.2m). See images of the Brackets below (with the Height & Width of the face to be fixed).